The population is getting older, and sicker. Nothing to celebrate, really. If you are a certified respiratory therapist, however, or about to finish your education in the field, you can at least see something good on the otherwise negative trend. Your profession is on the rise. The demand for RTs is growing, so are the average salaries for the medical professionals. What does it all mean for your job interview? First of all, you won’t face a tough competition. Often you may be the only person applying for the job, or you will compete with one or two other applicants. What is more, healthcare facilities are desperate to hire good respiratory therapists. You do not need to amaze them with perfect interview answers. Decent answers will suffice. And a certification (or a degree) of course… Let’s have a look at some questions. Why have you decided to pursue this career? Tell us something about your education/experience. What do you consider the most difficult thing about this job? How would you deal with an angry patient? / Describe a situation when you dealt with an angry patient. A typical answer will be saying that you see a meaningful purpose in this job, that you are worried about the growth of respiratory conditions in our population, such as pneumonia or asthma, and want to help. This is a typical answer, and a good one. 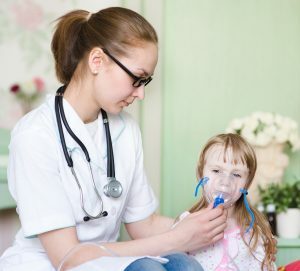 If you want to come up with something more interesting, however, you can narrate a story from you childhood, describing your own respiratory problems, or problems of someone close to you, and how the experience with the person motivated you to pursue the career of a respiratory therapist. Read the job description carefully. Perhaps you will work alone, on site, or make home visits. It is important that you understand the job description, since it shows the hiring manager that you really care about the job, and did not apply by the chance. Another crucial thing is to show motivation to work hard, to always do something. Hospitals are full of personnel who sits in their office, doing nothing unless they are called to duty. Show them that you plan to do your very best, proactively talking to patients and physicians, always looking for an opportunity to do something for the people. This is the right time to take your certificate out of the bag, and show it to the interviewers. Most hospitals trust the educational system, and once you show them the certificate, and briefly describe your training and education, they won’t doubt your ability to handle the job, and won’t ask you any technical questions. What is more, you should always talk about your working duties with enthusiasm. They should feel that you will enjoy doing what respiratory therapists usually do, and will not lose motivation easily. Seeing someone dying in front of our eyes, or being unable to help some patients, is definitely one of the toughest aspects of any medical profession. What is more, the hospital environment itself is quite stressful, and there is a reason why some healthcare professions have short life expectancy when compared with the numbers for our population in general. 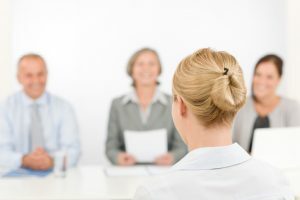 Anyway, you can pick something different for your answer, but you should always ensure the interviewers that you are aware of the difficulties, and ready to handle them. When we feel bad physically, we are not the nicest companions. This is something natural, and good healthcare practitioner will never blame their patients. Tell the hiring managers that you have empathy for the physical and emotional strain patients experience, and understand their occasional outbursts of anger. Say that you would stay calm and cheerful, and do your best for the patient following the therapy, regardless of their attitude to you. You can also mention that criticism and negative remarks won’t have any significant impact on the quality of your work, or on your attitude to the patients. Describe a conflict you had with one of your colleagues (patients). How did you handle the conflict? Describe a situation when you went above and beyond with your service (for the patient, for the colleague). What are some of the most useful therapies for patients with emphysema? Why do they work? What respiratory equipment are you familiar with? Do you have any experience with Middle East Respiratory Syndrome? What therapy would you suggest in this case? What Should Patient Do If They Caught In Asthma Attack And Had No Medication? Tell us how you proceed in diagnosing the respiratory condition. Interview for a Respiratory Therapist job belongs to easier interviews. You won’t compete with many people for the job, and the hiring managers won’t typically ask you any technical questions (they will trust your certification, and they also often do not have the capacity to evaluate your answers to technical questions). In most cases you will get just few (3-10) personal and behavioral questions, just as described in our article. Prepare for them, make a good impression, and land the job. We wish you good luck! 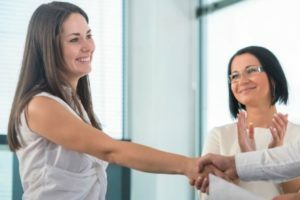 How to answer interview questions – It is not only about what you say, but also how you say it in an interview. Non-verbal communication counts for 90% of your message. Do you know how to say the right things? Interview Questions for Healthcare Jobs – Interview questions for doctors, nurses, pharmacists and other positions in healthcare.